Texas gives landlords 30 days to itemize and return a tenant’s security deposit. Put your itemization in writing and state how much you have applied toward back rent, cleaning costs and damage repair, along with how much a tenant can expect to receive in return. 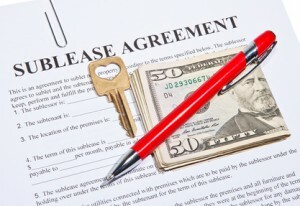 To minimize disputes, do your final walk-through alongside the tenant rather than by yourself. Also be sure to use some kind of inventory or landlord-tenant checklist when the tenant moved in so that you can compare the condition of the rental at the start and end of the tenancy. It’s also smart to photograph or videotape the premises so that you have visual proof of what the unit looked like when the tenant moved out. Ideally, you’ll also have done this before the tenant moved in so you can see any important differences. After you’ve inspected the unit, prepare an itemized list of deductions for cleaning, repairs, back rent or other financial obligations required under your rental agreement. List each item, for example, a dirty carpet or damaged kitchen appliance, and the dollar amount of the deduction. You may also wish to attach receipts, especially if you’ve already seen to the necessary repairs and/or replacements. There’s no doubt about it: conscientious landlording takes time and effort. That’s where the experts at Herman Boswell come in. We’re here to help you manage your property investments and give you the peace of mind you deserve. Contact us today!